A Renewable Portfolio Standard (RPS), also known as a Renewable Electricity Standard (RES), is a regulation that requires the increased production of energy from renewable energy sources, such as wind, solar, biomass, and geothermal. It is called a Renewables Obligation in the UK. The RPS mechanism generally places an obligation on electricity supply companies to produce a specified fraction of their electricity from renewable energy sources. Utilities are obligated to generate a percentage of their annual energy supply from renewable sources or else purchase Renewable Energy Credits on the open market to fulfill this requirement. Certified renewable energy generators earn certificates for every unit of electricity they produce and can sell these along with their electricity to supply companies. Supply companies then pass the certificates to some form of regulatory body to demonstrate their compliance with their regulatory obligations. Because it is a market mandate, the RPS relies almost entirely on the private market for its implementation. RPS differ from feed-in tariffs, which mandate that all renewable energy generated each year must be purchased by utilities and at fixed prices that work towards establishing grid parity. This is achieved when the cost of producing renewable energy is less than or equal to the cost of grid power. Those supporting the adoption of RPS mechanisms instead claim that market implementation will result in competition, efficiency, and innovation that will deliver renewable energy at the lowest possible cost, allowing renewable energy to compete with cheaper fossil fuel energy sources. Since 2009, the US Congress has been considering federal level RPS requirements. The Waxman-Markey Climate Bill that passed the House of Representatives in 2009 would require 20 percent of electricity to come from renewables by 2020. The Senate climate bill, Clean Energy Jobs and American Power Act, does not have an RPS or renewable energy standard. The Public Utility Regulatory Policies Act (PURPA) was passed in 1978 by the United States Congress as part of the National Energy Act. Part of its goal was to promote greater use of renewable energy. From 1997 to 2006, federal bills promoting RPS were introduced in Congress 17 times. 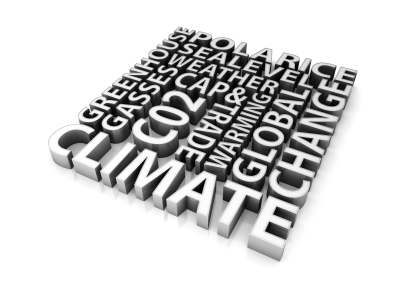 In addition, 102 legislative proposals dealing with climate change were introduced from 1997 to 2004. All have failed. The Support Renewable Energy Act of 2010 (Bill S.3021/111th Congress), introduced by Senators Russ Feingold (D-WI) and John Ensign (R-NV) would amend PURPA to authorize the Secretary of Energy to promulgate regulations to allow electric utilities to use renewable energy to comply with any Federal renewable-electricity standard. On September 21, 2010, U.S. Senator Jeff Bingaman (D-NM) and Tom Udall (D-NM) introduced bipartisan legislation to create a national renewable electricity standard (RES), S.3813 -- Renewable Electricity Promotion Act of 2010. Under the proposal, electric utilities would be required to produce at least 11 percent of their power from wind power and solar power, as well as other sources of energy; the remaining 4 percent could be achieved through energy efficiency improvements. The total of 15 percent would have to be met by 2021. The bill's definition of renewable energy includes biomass power generation, landfill natural gas, coalbed methane, waste-to-energy, and "another renewable energy source based on innovative technology," presumably carbon capture and storage (Section 12). The bill allows states to include nuclear energy and "advanced coal technologies for carbon capture and sequestration" in their RES (p. 20), and lets the Secretary of Energy approve federal loans for "any project deemed appropriate" (p. 30). States that have a higher RESs would not be affected by the bill. But states that have no RES or a lower one would have to comply with the 15 percent RES. Utilities selling less than 4 million MW-hr per year are exempt. The bill has 24 sponsors, from both parties, many from states in the U.S. Midwest where many wind farms are being located. According to the U.S. Department of Energy, as of May 2009 there are 24 states plus the District of Columbia that have RPS policies in place. Five other states - North Dakota, South Dakota, Utah, Virginia, and Vermont - have nonbinding goals for adoption of renewable energy instead of an RPS. Regulations vary from state to state, and there is no federal policy. According to 2007 RPS state standards (some of which have been raised since 2007), renewable energy would still only account for 4 percent of national capacity by 2030 without broader state or federal action. Arizona 15% 2025 Of this percentage, 30% (i.e. 4.5% of total retail sales in 2025) must come from distributed renewable (DR) resources by 2012 and thereafter. One-half of the distributed renewable energy requirement must come from residential applications and the remaining one-half from nonresidential, non-utility applications. Delaware 20% 2019 Suppliers will receive 300% credit toward RPS compliance for in-state customer-sited photovoltaic generation and fuel cells using renewable fuels that are installed on or before December 31, 2014. Hawaii 40% 2030 HB 1464, signed by the governor in June 2009, increased the amount of renewable electrical energy generation required by utilities to 40% by 2030. Massachusetts 15% 2020 Rises by 1% per year until revised by the legislature. Consumers Energy: 200 MW of new renewables by 2013 and 500 MW by 2015. Minnesota 25% 2025 Xcel Energy has its own individual standard: 30% by 12/31/2020. purchase at least 15% of their energy from renewable sources by 2021. Montana 15% 2015 For compliance year 2011 through compliance year 2014, public utilities (not applicable to competitive suppliers) must purchase both the renewable-energy credits (RECs) and the electricity output from community renewable-energy projects totaling at least 50 MW in nameplate capacity. retailers and used as RECs and Solar RECs. Starting on June 1, 2008, SACPs will be set according to the following schedule ($/MWh) decreasing by 3% per year until 2016: June 1, 2008 - May 31, 2009, $711; June 1, 2009 - May 31, 2010, $693; June 1, 2010 - May 31, 2011, $675; June 1, 2011 - May 31, 2012, $658; June 1, 2012 - May 31, 2013, $641; June 1, 2013 - May 31, 2014, $625; June 1, 2014 - May 31, 2015, $609; June 1, 2015 - May 31, 2016, $594. After May 31, 2016, the BPU will review the SACP annually in consultation with an advisory committee. New Mexico 20% 2020 Rural electric cooperatives: 10% by 2020. South Dakota 10% 2015 Non mandatory. The California Renewables Portfolio Standard was created in 2002 under Senate Bill 1078 and further accelerated in 2006 under Senate Bill 107. The bills stipulate that California electricity corporations must expand their renewable portfolio by 1% each year until reaching 20% in 2010. On November 17, 2008, Governor Arnold Schwarzenegger signed executive order S-14-08 which mandated a RPS of 33% by 2020 which sits in addition to the 20% by 2010 order. On August 31, 2010, the California legislature failed to pass Senate Bill 722—the 33% Renewable Portfolio Standard legislation—by the close of the legislative session. The bill would have increased California's RPS to 33% for both investor-owned and publicly owned utilities, and would have placed limits on the use of renewable resources located out-of-state to meet California's RPS. In 2009, California also failed to enact a 33% RPS bill, similar to SB 722, although the process proceeded farther: the legislature passed the bill, but it was vetoed by Governor Schwarzenegger due to concerns about the limits placed on the use of out-of-state generation. Despite his concern about limits on out-of-state generation, Governor Schwarzenegger supports increasing California's RPS to 33%. Following his veto of the 2009 legislation, he issued an executive order directing the California Air Resources Board (ARB) to develop regulations to implement a 33% RPS under authority the ARB had under AB 32, California's Global Warming Solutions Act. Pursuant to the executive order, the ARB was to enact those regulations by July 2010. Shortly before the ARB considered those regulations, the Governor requested via letter to the ARB that it postpone consideration of those regulations while the legislature attempted to pass a 33% RPS bill. ARB therefore moved the hearing on those regulations to September 22, 2010. With the failure of SB 722, ARB may now move forward with those regulations under AB 32, although there are questions regarding the extent to which those regulations would be implemented by the new Governor of California. The Colorado Renewable Portfolio Standard was updated from 20% to 30% in the 2010 Legislative Session as House Bill 1001. This increase is anticipated to increase solar industry jobs from current (2009) estimated 2,500 to 33,500 by 2020. The updated RPS is also anticipated to create an additional $4.3B (U.S.) in state revenue within the industries. A November 2012 ballot initiative would expand the state’s renewable energy targets from 10% penetration by 2015 to 25 percent by 2025. In response, a group backed by the Michigan Chamber of Commerce and the Clean Affordable Renewable Energy (CARE) for Michigan Coalition rolled out a campaign to stop the ballot initiative. CARE’s campaign is publicly backed by the Michigan Jobs and Energy Coalition, which includes DTE Energy, Consumers Energy, the Michigan Electric Cooperative Association, as well as the Detroit Regional Chamber. CARE’s Treasurer Donna England was recently named DTE Energy’s Chief Accounting Officer, and her address listed in a recent CARE legal filing is the same as DTE’s headquarters. In 1997 Nevada passed a Renewable Portfolio Standard as part of their 1997 Electric Restructuring Legislation (AB 366) It required any electric providers in the state to acquire actual renewable electric generation or purchase renewable energy credits so that each utility had 1 percent of total consumption in renewables. However, on June 8, 2001, Nevada Governor Kenny Guinn signed SB 372, at the time the country's most aggressive renewable portfolio standard. The law requires that 15 percent of all electricity generated in Nevada be derived from new renewables by the year 2013. The Nevada RPS includes double goal. The 2001 revision requires that at least 5 percent of the renewable energy projects must generate electricity from solar energy. In June 2005, the Nevada legislature passed a bill during a special legislative session that modified the Nevada RPS (Assembly Bill 03). The bill extends the deadline and raised the requirements of the RPS to 20 percent of sales by 2015. In an April 2008 unanimous vote, the Ohio legislature passed a bill requiring 25 percent of Ohio's energy to be generated from alternative and renewable sources, of which half or 12.5 percent must derive from renewable sources. Pennsylvania requires that 18 percent of all energy generated in the state come from alternative and renewable sources by 2021, including 0.5 percent from solar. The Texas RPS was originally created by Senate Bill 7 in 1999. The Texas RPS mandated that utility companies jointly create 2000 new MWs of renewables by 2009 based on their market share. In 2005, Senate Bill 20, increased the state’s RPS requirement to 5,880 MW by 2015, of which, 500 MW must come from non-wind resources. The bill set a goal of 10,000 MW of renewable energy capacity for 2025. Of all the state-based RPS programs in place today, no two are the same. Each has been designed taking into account state-specific policy objectives (e.g. economic growth, diversity of energy supply, environmental concerns), local resource endowment, political considerations, and the capacity to expand renewable energy production. At the most basic level, this gives rise to differing RPS targets and years (e.g. Arizona's 15% by 2025 and Colorado's 30% by 2020). Looking at these two values alone can however be misleading. Other factors in program design include resource eligibility, in-state requirements, new build requirements, technology favoritism, lobbying by industry associations and non-profits, groups cost caps, program coverage (IOUs versus Cooperatives and Municipal utilities), cost recovery by utilities, penalties for non-compliance, rules regarding REC creation and trading, and additional non-binding goals. Since RPS programs create a mandate to purchase renewable energy, they create a lucrative captive market of buyers for renewable energy producers who are eligible in a particular state's RPS program to issue RECs. Because of the wide variety and localized regulation of US RPS programs, they are vulnerable to regulatory capture. A state may choose to promote new investment in renewable energy generation capacity by not making eligible existing renewable energy such as hydroelectric plants or geothermal energy to qualify under a RPS program. Many states that have mandatory Renewable Portfolio Standards also have additional voluntary targets either for the total proportion of renewable energy or for a particular technology type. Program coverage refers to those entities that are expected or obliged to meet the renewable portfolio targets and goals. In many states, municipalities and cooperatives are exempt from the RPS target, have a lower target, or are required to develop their own targets. Furthermore, in some states such as Minnesota, individual utilities (e.g., Xcel Energy) are singled out for special treatment. Most states with RPS programs have associated renewable energy certificate trading programs. RECs provide a mechanism by which to track the amount of renewable power being sold and to financially reward eligible power producers. For each unit of power that an eligible producer generates, a certificate or credit is issued. These can then be sold either in conjunction with the underlying power or separately to energy supply companies. A market exists for RECs because energy supply companies are required to redeem certificates equal to their obligation under the RPS program. State specific programs or various applications (e.g., WREGIS, M-RETS, NEPOOL GIS) are used to track REC issuance and ownership. These credits can in some programs be 'banked' (for use in future years) or borrowed (to meet current year commitments). There is a great deal of variety among the states in the handling and functioning of RECs and this will be a major issue in integrating state and federal programs. For states with REC trading programs, a Renewable Energy Certificate is issued to eligible producers for each MWh of renewable energy production. Some state programs, in order to promote specific renewable technology types, apply a credit multiplier by which a MWh of electricity produced by a particular technology receives more than one REC. For example, a wind multiplier of 3 means that one MWh of electricity produced with wind technology provides the producer of that electricity with 3 certificates. RPS multipliers are powerful tools for regulators to direct revenue, investment, and job creation to particular types of renewable energy vs a free market of renewable energy. Since the definition of what is renewable energy isn't clear cut, for example, nuclear power proposed as renewable energy, and whether an RPS program should consider environmental damage of a renewable energy source (for example, hydroelectric dams, bird strikes of wind turbines, quakes from enhanced geothermal, solar thermal water use) affects RPS program implementations. A state can use a multiplier as protectionism to local renewable energy generators from out of state renewable generators. Since RECs are regulated at a state leval, their ability to be traded over state lines varies. Many state programs promote particular technology types by establishing sub-targets known as carve outs or set-asides. In addition to meeting the overall RPS targets, energy supply companies need to show that they have acquired a particular percentage of their power sales from the designated technology type. In some instances, multiple technology types are bundled together in 'tiers' or 'classes' with similar effect. Not all states have set-asides or tiers (some preferring to promote particular technologies through credit multipliers) and each state that groups technologies together in a tier does so differently. Every state defines 'renewable' technologies differently. Ohio, for example, is the only state that counts advanced nuclear power generation as an eligible technology. States often start with an assessment whether the renewable technology is economically feasible in the absence of an RPS program. This is best personified by distinguishing between small and large hydroelectric facilities. Many states exclude existing renewable facilities from benefiting from an RPS program for the same reason. A state's definition of eligible technologies is also driven by the objectives of the program. Programs designed to promote diversity in generation types may include or promote technologies different from programs designed to achieve environmental goals. In order to motivate compliance, states that have enforceable standards will have penalties for utilities that fail to reach the specified targets. States may chose to set penalty values or make arbitrary penalty amounts when suppliers fail to meet a renewable target. Where specific technologies are promoted through either tiers or set-aside provisions, the penalties for missing these targets are typically separate and higher. Some states have higher penalties for repeat violations and others escalate penalties on a yearly basis according to price indices. All states either place caps on the cost of the program or include some form of 'escape clause' whereby the regulatory authority can suspend the program or exempt utilities from meeting its requirements. The need for such measures arises from the difficulties in estimating in advance the actual cost of the RPS program. The realized cost to the utility and the ratepayer is not known until the supply and cost base of renewable power, along with actual demand, is established. With few exceptions, utilities are allowed to recover the additional cost of procuring renewable power. The method by which this can be achieved varies by state. Some states opt for a ratepayer surcharge while others require utilities to include costs in rate base. In some instances, utilities are even able to recover the cost of penalties associated with non-compliance. In May 2011, Midwest Energy News reported that "the most comprehensive studies to date and the experience of utilities so far suggest that, by and large, renewable portfolio standards haven’t had a significant impact on customers’ bills," contradicting arguments that renewables would raise customer rates, although the news publication went on to say that "there’s room for more study." One of the larger reviews of renewable portfolio standards was a 2008 report from the Lawrence Berkeley National Laboratory. The study looked at data on a dozen state renewable policies enacted before 2007. The estimated impact on electricity rates varied by state, but it was a fraction of a percent in most cases and just over 1 percent in two states, Connecticut and Massachusetts. “There is little evidence of a sizable impact on average retail electricity rates so far,” the report concluded. A 2009 study by the U.S. Energy Information Administration modeled the potential impact of a 25 percent nationwide renewable electricity standard. It, too, noted that rate impacts would vary by state, with renewable-rich regions like the Great Plains and Northwest meeting the targets more easily. Overall, though, it projected no impact on rates through 2020, followed by a less than 3 percent increase by 2025. By 2030, however, it projected little difference in rates with or without a national renewable mandate. The Minnesota Free Market Institute and American Tradition Institute reached a very different conclusion in an April 2011 report, which claims Minnesota’s renewable electricity standard is going to cause rates in the state to skyrocket by as much as 37 percent by 2025. The Minnesota Chamber of Commerce has been pushing for legislation that would require utilities to include data in their biennial resource plans about costs incurred from complying with the state’s renewable standard, which calls for 25 percent of electricity to come from renewable sources by 2025. Great River Energy said its wind energy purchases increased retail customer bills by about 1.6 percent, or $18 per year for an average homeowner. The generation and transmission co-op serves about 645,000 customers in Minnesota and Wisconsin. Other utilities report different experiences. Xcel Energy forecast a $0.003 cost difference between its projected per-kilowatt-hour energy price in 2025 under its proposed wind expansion plan compared to a hypothetical scenario in which it stopped adding new wind capacity after 2012. Otter Tail Power, which serves about 130,000 customers in the Dakotas and western Minnesota, said the company would have added wind capacity regardless of Minnesota’s renewable standard, because it’s been the most economical option. Minnesota Power was among the first utilities to cite complying with the state’s renewable standard as a factor in a rate increase case with state utility regulators. Spokeswoman Amy Rutledge said, however, that renewables accounted for only a small portion of the increase. ↑ "Solar Feed-in Tariffs vs. Renewable Portfolio Standards," SolSystems, accessed July 2012. ↑ "The Renewables Portfolio Standard: How It Works and Why It's Needed" Wind Energy Association, accessed June 2010. ↑ Kate Sheppard, "Everything you always wanted to know about the Waxman-Markey energy/climate bill—in bullet points" Grist, June 3, 2009. ↑ "American Power Act Contains Little Direct Support for Renewables" Renewable Energy World, May 18, 2010. ↑ 5.0 5.1 Benjamin K. Sovacool and Jack N. Barkenbus, "Necessary but Insufficient: State Renewable Portfolio Standards and Climate Change Policies" Vanderbilt, 2009. ↑ "S.3021 - Support Renewable Energy Act of 2010" OpenCongress, accessed June 2010. ↑ 7.0 7.1 "New renewable electricity standard bill introduced in U.S. Senate" Composites World, Sep. 27, 2010. ↑ "Renewable Electricity Promotion Act of 2010" Library of Congress, Sep. 21, 2010. ↑ "States with Renewable Portfolio Standards" US DOE, accessed June 2010. ↑ 10.00 10.01 10.02 10.03 10.04 10.05 10.06 10.07 10.08 10.09 10.10 10.11 "Renewable Portfolio Standards (RPS)" M.J. Beck RPS Edge, accessed June 2010. ↑ "Chapter 14A. Renewable Energy Portfolio Standards" District of Columbia, accessed June 2010. ↑ 12.0 12.1 12.2 12.3 12.4 "State RPS" Database of State Incentives for Renewables & Efficiency, accessed June 2010. ↑ Murray Evans, "Henry signs Okla. Energy Security Act" Bloomberg BusinessWeek, May 28, 2010. ↑ "South Dakota renewable energy objective" SD PUC, accessed June 2010. ↑ "EXECUTIVE ORDER S-14-08" Office of the Governor of CA, November 17, 2008. ↑ 16.0 16.1 "Renewable Energy Law Alert: California Legislature Fails to Pass 33% Renewable Portfolio Standard" Stoel Rives, September 1, 2010. ↑ Bill Ritter, "Gov. Bill Ritter: Advancing Colorado's New Energy Economy" Denver Post, May 11, 2010. ↑ Stephen Lacey, "Chamber Of Commerce And Utility Groups Wage Campaign Against Renewable Energy Increase In Michigan," Climate Progress, June 26, 2012. ↑ 19.0 19.1 19.2 "Renewable Portfolio Standards - Nevada" Renewable Energy Project, accessed June 2010. ↑ New Ohio Renewable Energy Law Has National Importance. Energy Daily (2008-04-30). Retrieved on 2008-11-28. ↑ Exelon "EPURON Solar Energy Center" Conenergy, accessed June 2010. ↑ "Texas Renewable Portfolio Standard" TX State Conservation Office, accessed June 2010. ↑ Dan Haugen, "Are renewable standards driving up utility rates?" Midwest Energy News, May 17, 2011. "Database of State Incentives for Renewables & Efficiency" (includes interactive map). Guide: "Renewable Energy Nonprofit Organizations in the World". "Earth & Climate: Renewable Energy News," ScienceDaily. Energy Efficiency and Renewable Energy web page. Energy Information Administration web data on "Renewable and Alternative Fuels". Wikipedia also has an article on Renewable portfolio standard. This article may use content from the Wikipedia article under the terms of the GFDL. This page was last edited on 25 July 2012, at 16:05.